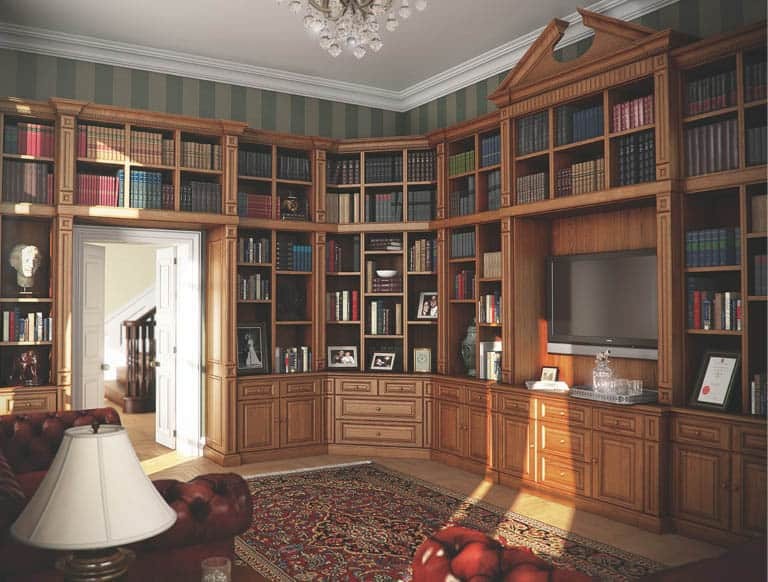 Dramatic yet enduringly elegant, our traditional libraries are the perfect balance between quality and traditional style. 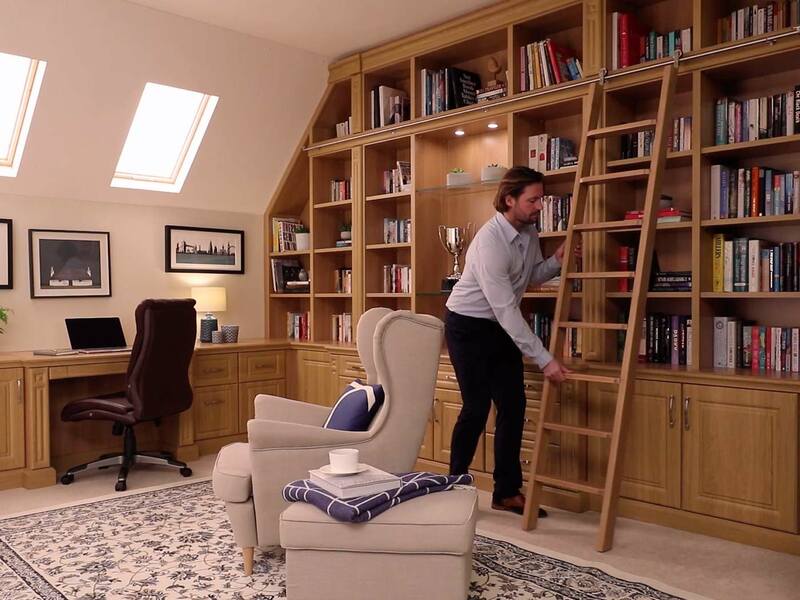 Along with meticulously measured shelving, your bespoke library furniture can also be configured to include co-ordinated cabinets and fine freestanding pieces. 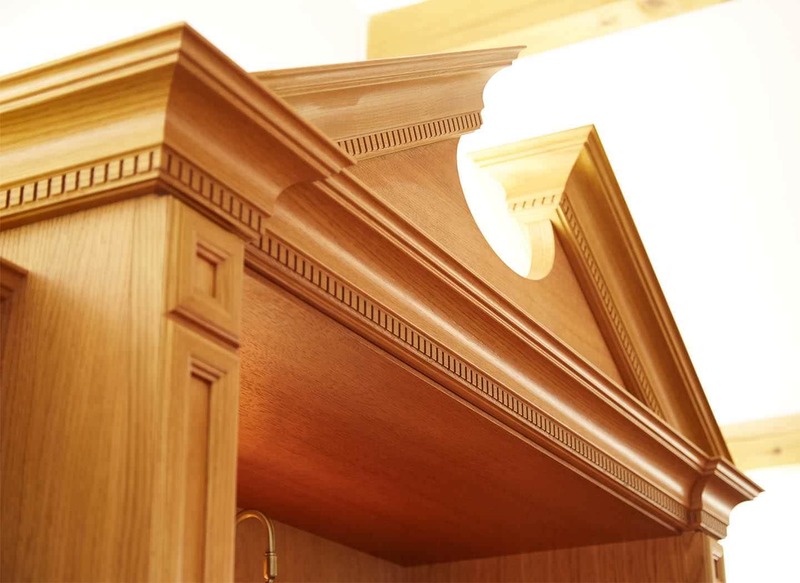 Fine detailing in the panelling, moulded columns and cornicing are beautifully complemented by the solid oak finish and hand-selected wood veneers in our Shades of Oak collection. 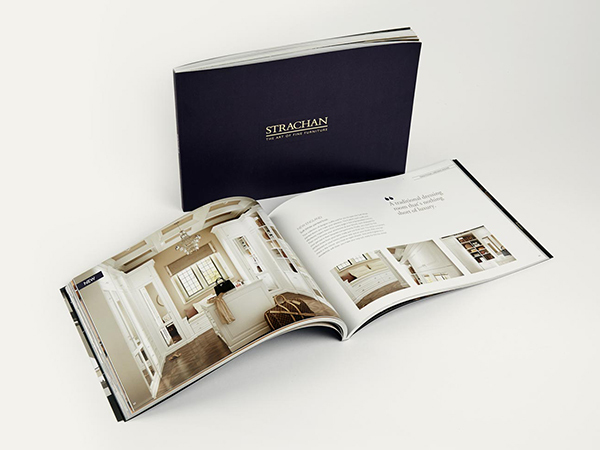 You can even add your own stamp of personality, with optional pull out pilasters and extravagant wardrobe pediments. 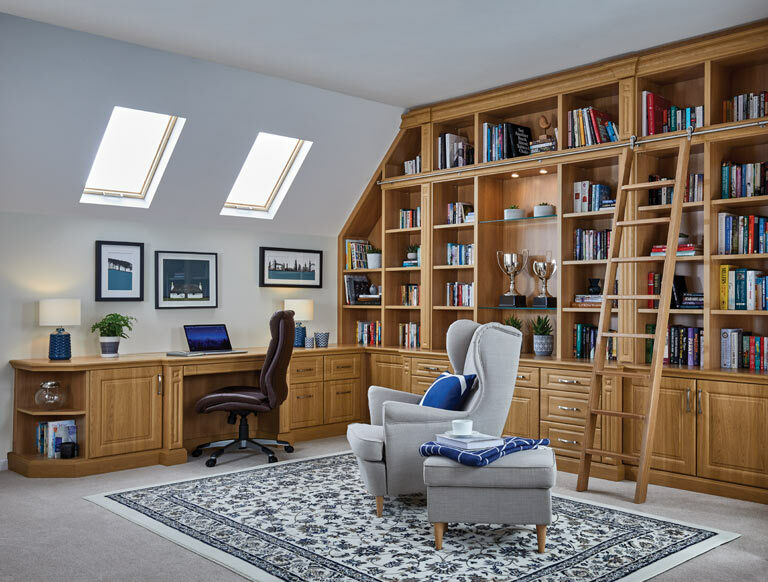 All avid readers should take pride in their book collections. 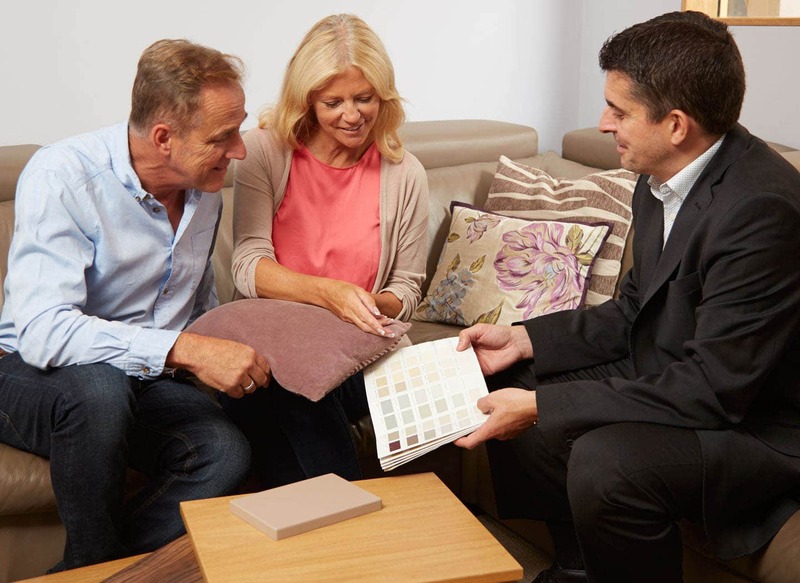 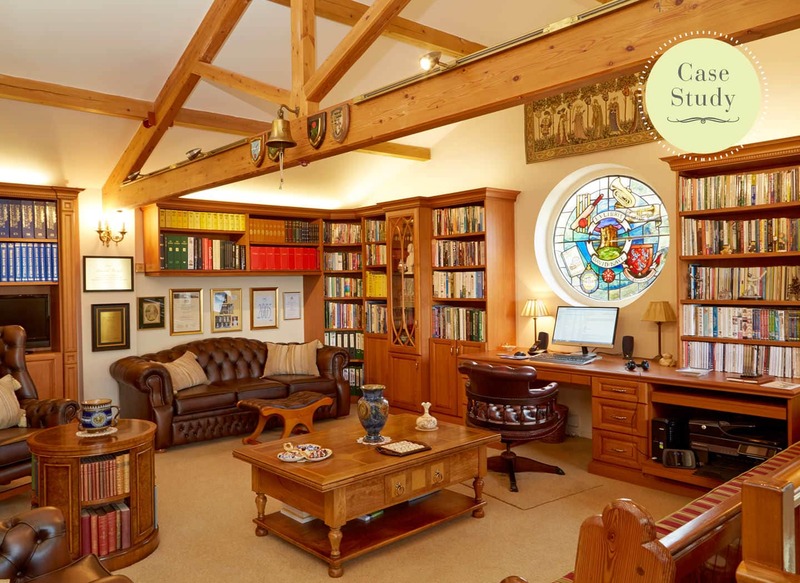 That’s just what one Strachan customer did, when he commissioned our expert designer to create a lavishly traditional Shades of Oak library, complete with fitted desk, meticulously measured shelving and glass fronted cabinets.